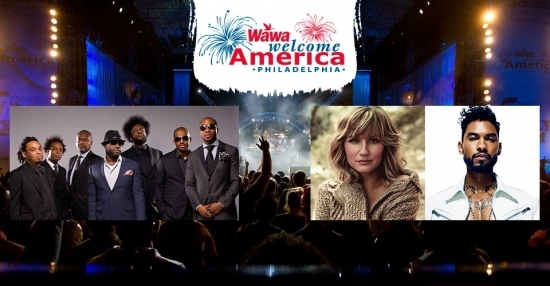 The lineup for this year's 4th of July Jam on the Benjamin Franklin Parkway as part of the Wawa Welcome America Celebration has been announced. Mayor Michael Nutter made the announcement on Tuesday morning at the African American Museum in Center City Philadelphia. The Roots will be back again to headline and act as house band for the show. Joining them on stage will be R&B star Miguel and Sugarland's Jennifer Nettles. More musical guests will be announced later this week.